Enjoy Turkey travel photography and fall in love with Turkey tourism. 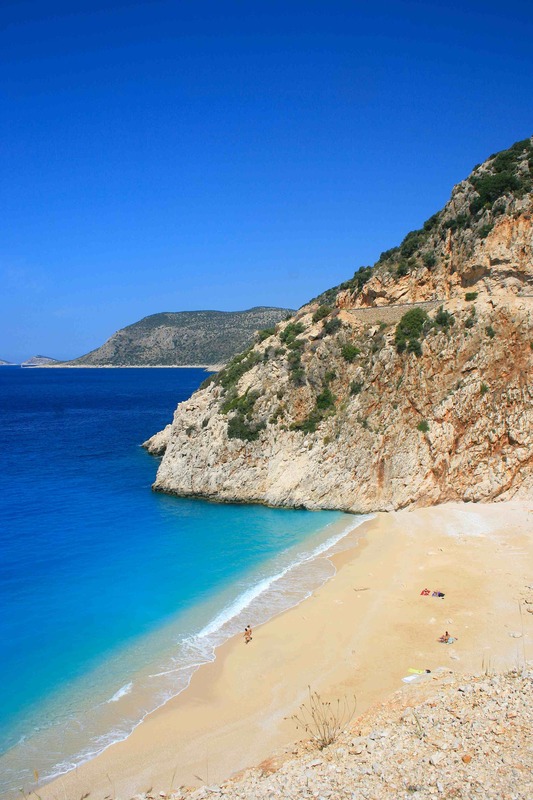 Visit Kaputas Beach, Turkey. Kaputas Beach is a spectacular place to take travel photographs. Known around the world as the beach on the front of the Lonely Planet Turkey guide, Kaputas Beach draws in millions of tourists a year, whether it be just to take a unforgettable image of the turquoise waters or to soak up the surf. Enjoy more Turkey travel photography (travel photos) from Kaputas Beach and the Turquoise Coast. Welcome to Traveling with Krushworth. Each and every day, there will be a new photograph from my travels around the world. Come back and see posts from England, Scotland, Wales, Cambodia, Turkey among other incredible nations. Enjoy!